Researchers at the University of Sao Paulo, Brazil have discovered a way to decontaminate organs for transplantation, thanks to a new method that uses light to kill viruses and bacteria from the donor. According to experts, biophytic therapy should, as is known, expand the availability of available organs and reduce complications after surgery. "There is currently no decontamination of transplant organs, only the withdrawal of blood, but micro-organisms are still alive, either to discard the organ, or, if there is no alternative to avoid death, it can be contaminated," he explained to the coordinator a group of scientists, Vanderlei Bagnato. The study began in 2015 with the University of Toronto, Canada, which operates the largest lung transplant program in the world. Canadians were responsible for the clinical part of the project, while Brazilians were responsible for the development of the technique. Approximately $ 1 million was invested, and the Brazilian part, responsible for about 10%, was in the hands of the Fapesp Research Foundation in Sao Paulo. 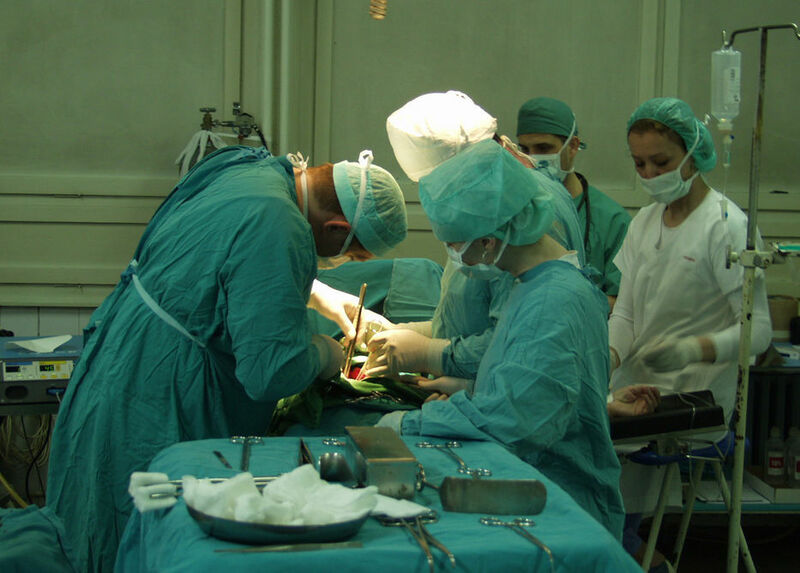 The procedure consists, firstly, of taking blood from the body and replacing it through the outer tube connected with the blood vessels, which keeps it alive. This liquid is exposed to ultraviolet rays that destroy cell membranes of microorganisms and their DNA. "Ultraviolet rays are used outside the body, not to kill their own cells, but viruses and bacteria that have been caught by the liquid," said Bagnato. On the other hand, substances that are sensitive to visible and infrared light, which can choose viruses and bacteria, are added as a supplement to the liquid. Then these light frequencies are used for a body that stimulates substances to oxidize microorganisms and cause damage to viruses, such as hepatitis and AIDS. According to the scientist, the liquid is used more than once because it is still very expensive, with a value of 1500 dollars per liter. Initial trials were performed with lung pigs, followed by non-transplanted people and eventually tested in patients. For the person responsible for the project in Canada Marcelo Cypel, the results were optimal. "We have already carried out ten tests with patients, two of which have been excluded from the viral presence, and in eight they have significantly decreased," says Cypel. Bagnato said the bacteria were "completely extinct". In Canada there is already a registered patent and companies interested in producing equipment of this technique. In Brazil, the goal is to test a program with kidneys and liver which is most commonly transplanted in the South American country. Scientists believe that in the future, it will be possible to improve the use of organs, reduce their costs, and wait for and expand other transplants, such as the heart or pancreas. "Today this is the transplantation of everything, the uterus, the face, but it is very expensive, for example, the lung transplant, for example, costs about $ 160,000, a few dozen a year is done in Brazil, but how many people do you need?" , asked Bagnato. Another progress foreseen by the Bagnato project in the future is the decontamination of organs in living people, which could effectively create a cure for diseases. In 2018, 20,000 transplants were needed in Brazil, adding vital organs such as the kidneys, heart, liver, and lungs, but only 8,500 were produced. According to the Brazilian transplant association, the operations line is more than 30,000 people. What is the meaning of the song "Jenny of Oldstones" and how important is it for the series? – Game of Thrones – Spoiler Time!